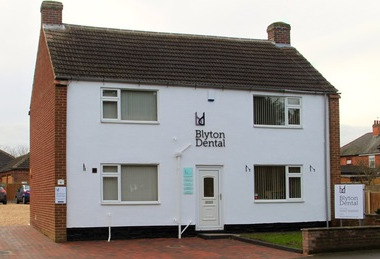 Happy New Year from us all at Blyton Dental. Thank you for your support since we have opened and thank you for choosing us to provide your Dental care. Did you know you can book in to see Clare Padgett (Our Dental Hygienist) without having to see one of the Dentists first? This is called direct access. It used to be that a Hygienist visit had to be on referral from a Dentist. The law changed in May 2013 so now if you want to book in with Clare for a scale and polish for a treat (Really, lots of people do!) you can easily do so. All Dental professionals are regulated by the GDC. The guidance on direct access states that Hygienists and Therapists are not expected to make a diagnosis beyond their scope of practice so be reassured if there are any areas of concern, Clare will refer you to Arun or Sharon for further inspection. Clare has worked with us for the past 4 years. She is an experienced and enthusiastic motivator. As well as performing a scale and polish Clare will demonstrate cleaning techniques to help keep the plaque and tartar at bay. She will help you develop the techniques needed for you to continue this at home. If you would like to book in with Clare or have any questions please don't hesitate to contact us on 01427 628999 or use the contact form to e mail us. Older PostWe are Open ! !